SALLERI (SOLUKHUBU), Oct 26: With the fall in mercury the tourists visiting the Kumbu region of Northern Nepal are now compelled to shorten their holidays though the number of tourists visiting the region has hiked enormously. According to the Tourist Police in the region the number of tourists visiting here has increased drastically. A total of 10 Thousand 4 Hundred and 39 tourists toured the region in between the months of mid- August, 2016 to mid- October, 2017. Likewise, a total of 3 thousand 9 Hundred and 71 have returned after completing their visit. But with the drop in the mercury the tourists are planning to return back, One of the trekking guides Chudamani KC informed. “The winter started quite early than that of before and now the plans to shorten the stay are underway,” he added. 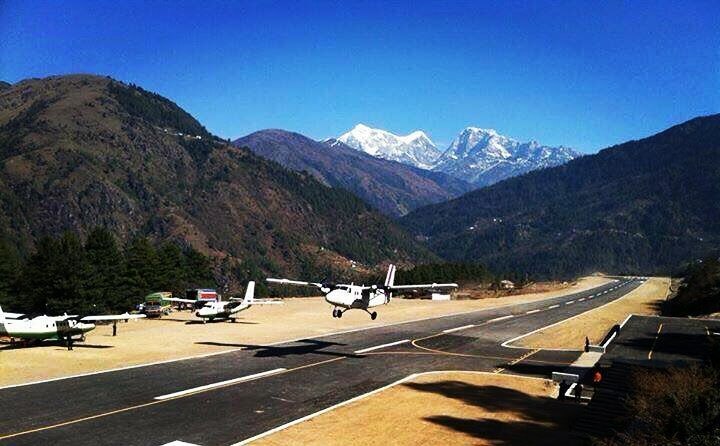 With the increment in the number of tourists returning back to Kathmandu the pressure in Solukhumbu airport has increased. “The number of tourists returning to Kathmandu due to the extreme cold has increased which has increased the traffic flow in the airport,” Chief of Tara air in Lukla Funuru Sherpa said. Nationals from Australia, UK, Germany, America, Spain, France, Canada, India, China, Italy, Malaysia, Japan, Thailand, Poland, Switzerland, Netherland comes for visit in the region.